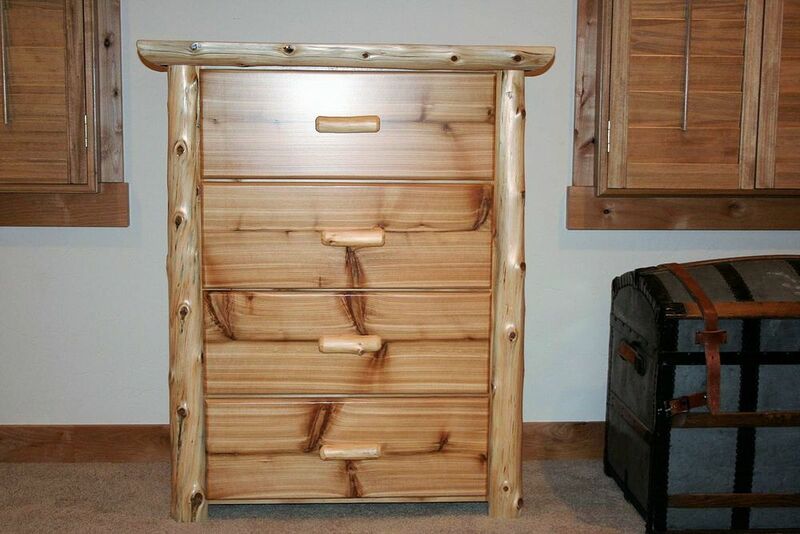 This cedar log four drawer dresser chest is a great storage option! The dresser is constructed from kiln dried cedar and framed with rustic cedar logs. Drawer boxes are solid wood dovetail construction with metal drawer slides that make opening and closing very smooth! Measurements are 36"W x 26"D x 48"H with sizes always available upon request.